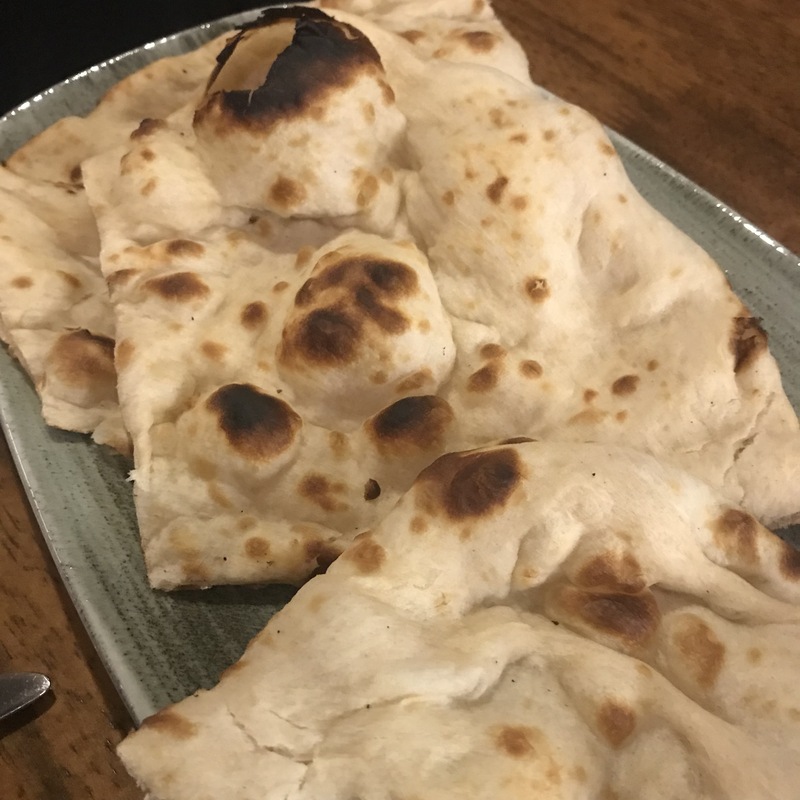 Years ago I visited The Dhabba which can be found in the heart of Glasgow’s Merchant City. At the time I wasn’t all that impressed. Their food tasted nice and service was flawless, but it was definitely nothing special. When I went back this time I pretty much dragged myself because I was so tired from work and I wasn’t really sure what to expect. I was immediately aware that the place has changed drastically when this menu was placed in front of me! The menu in 2011 (ish) didn’t inspire me at all, yet this one instantly grabbed my attention! 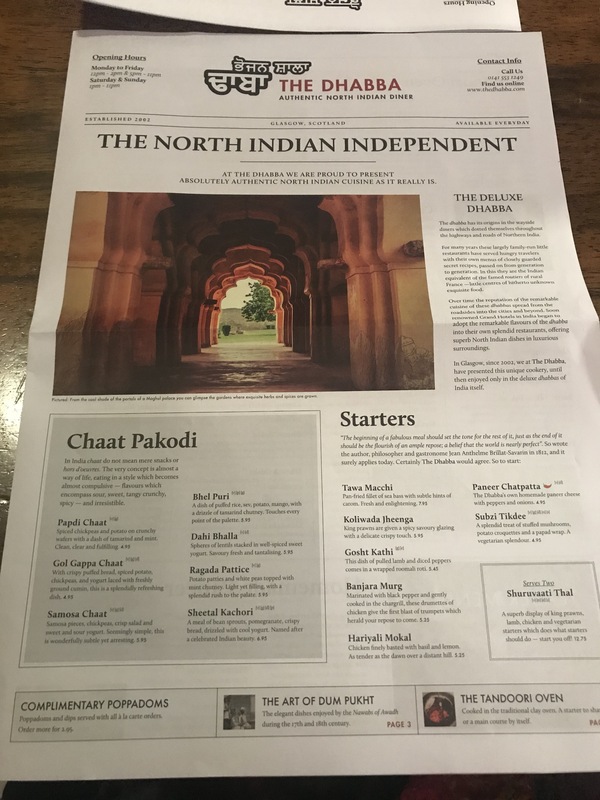 I absolutely love the newspaper layout of the menu – it’s so clearly laid out and I just think it’s a really cool look. The next thing I noticed was the massive range of traditional food available. It took me a good 20 minutes to read through and decide – mostly because there are several things I wanted to order! 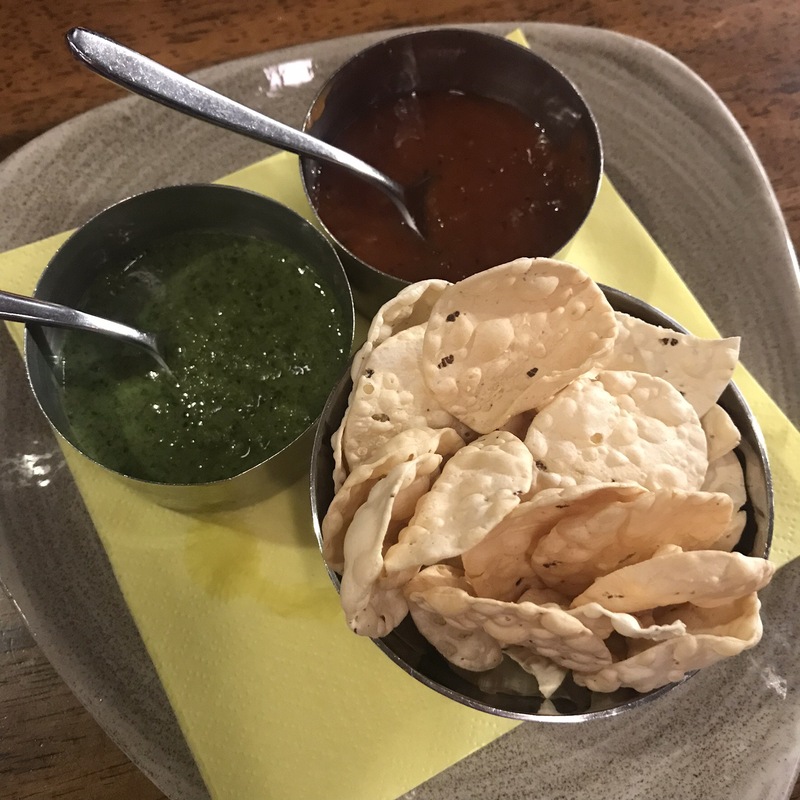 We started with the (always appreciated) complimentary mini poppadoms and chutneys. 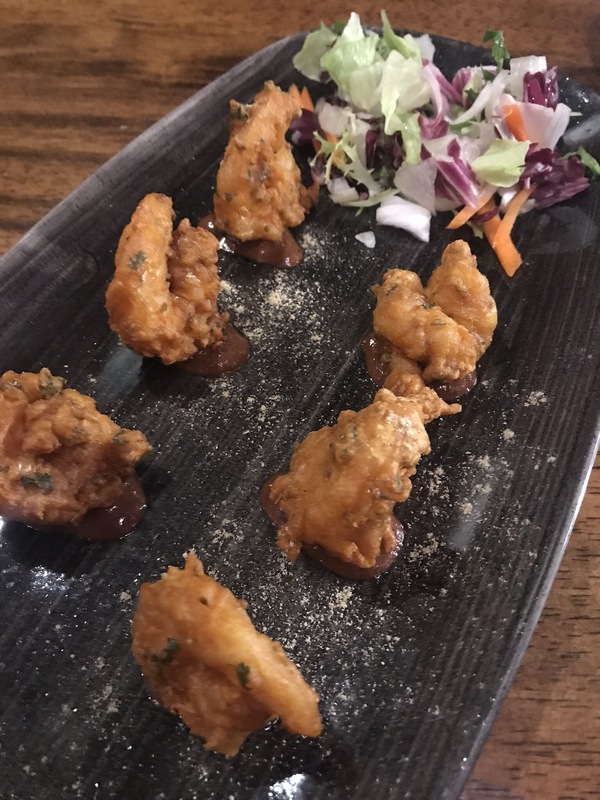 These king prawns were absolutely amazing! 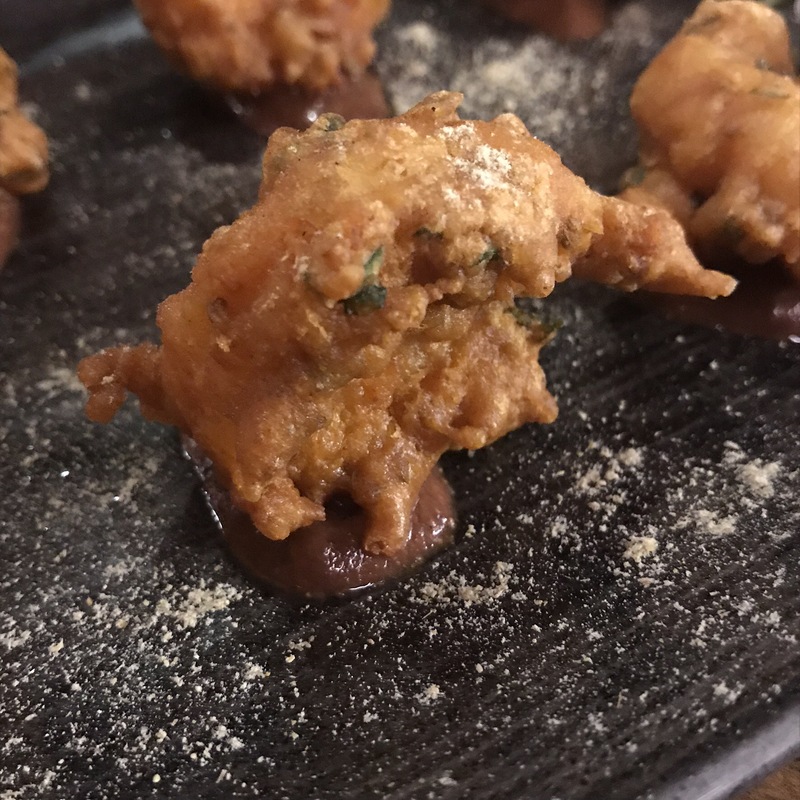 They’re effectively a herby and spicy tempura dish served with a delicious glaze. 6 prawns may not seem like a large portion but this was a really generous serving! This was just my ideal curry: a gorgeously smooth sauce littered with fresh coriander. Within that was delicate lamb which you could’ve cut with a spoon. It was rich and fragrant, and I cleared the entire lot. I absolutely loved it! 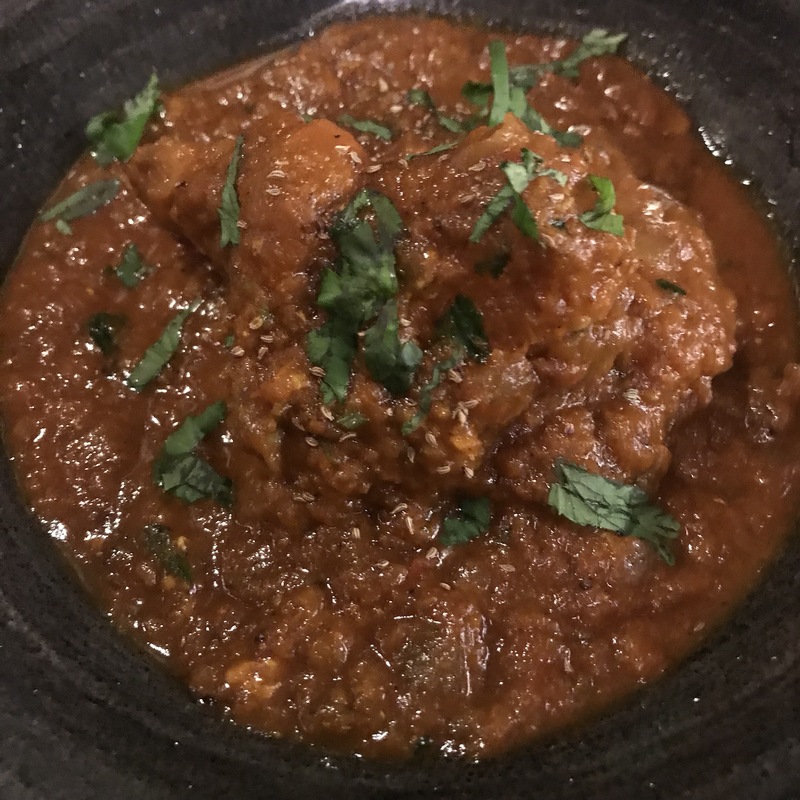 My friend ordered this curry which is a beautifully balanced blend of tasty pan fried monkfish, onion and Carom (which has a beautiful thyme-y flavour). 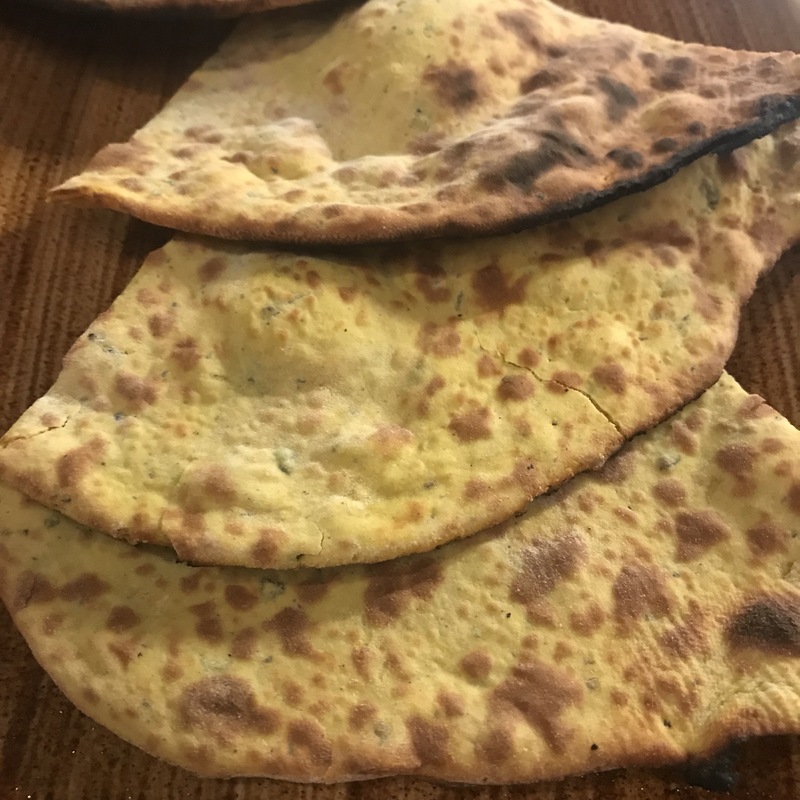 Again, the fresh coriander was present which I love. 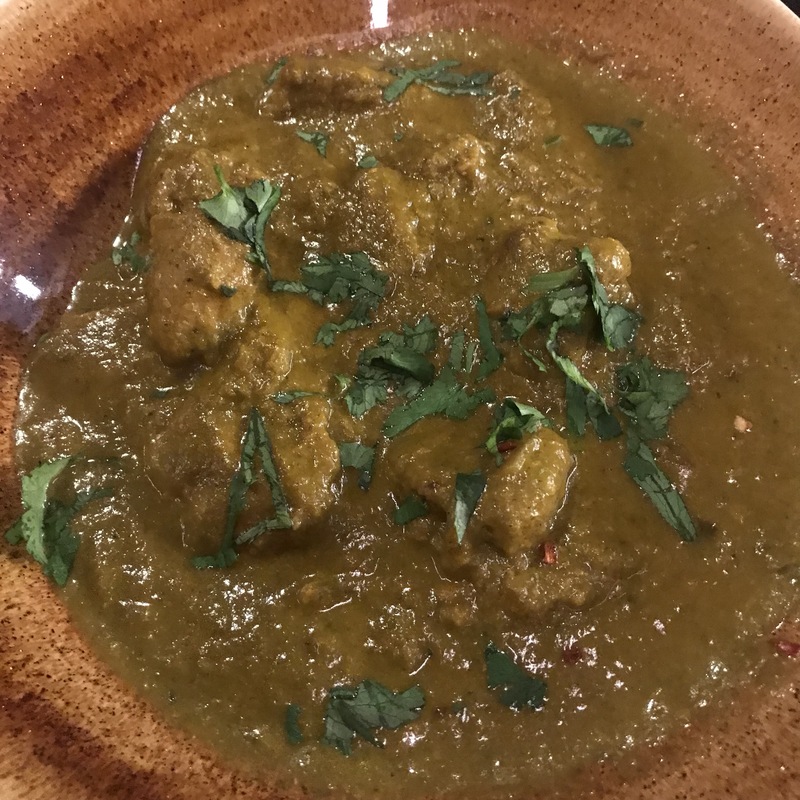 The fish curry was perfect for me in the sense that some fish curries totally hide the flavour of the fish itself, but this one was balanced enough to show off the gorgeous monkfish. Because you just absolutely must have something to mop up that gorgeous curry sauce with! 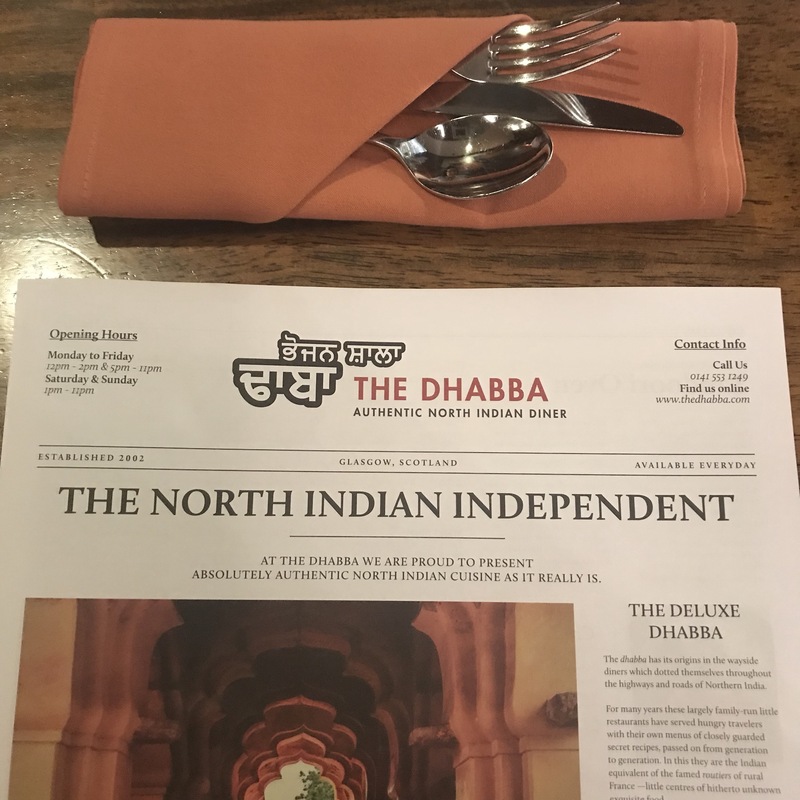 I left The Dhabba excited to write this blog post, and I’ve been telling people about it since. I’m amazed at the change in their menu and quality of food. Unlike the first time, this time I can say I’ll be back!